Parents: Thank you for reading through this information for answers to questions regarding recital. If you still have questions after reviewing this page please feel free to contact us! A. Recital 2018 is the week of May 21st-24th. This will include dress rehearsals, and recitals. Recital #1 will be at 7pm on Wednesday, May 23rd. Recital #2 will be at 7pm on Thursday, May 24th. Please visit the 2018 Recital Page for a detailed schedule. We have also emailed and handed it out in class. Q. Where is Recital held? A. 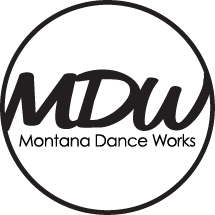 Combined classes will be at Montana Dance Works the weeks of May 7th and May 14th. Dress Rehearsals and Recitals will be at the Mother Lode Theater located at 316 W. Park Street Butte, MT. Please refer to the 2018 Recital Packet for exact days, times and locations. Q. How does Recital work? A. We are thrilled to have the opportunity to teach over 350 students in multiple areas of dance and performance. For this reason it is impossible to do one show and properly showcase all of the students to their full potential. Therefore, every class will perform their own piece with their own costumes and music. Each student is required to purchase a costume for each class they perform with. This year we will produce two shows. We feel this is the best way to showcase our students' hard work and prevent a VERY long show for our audiences. Q. My child is in multiple classes. Why aren't all of his/her performances in one recital? A. We did our very best to arrange a convenient schedule for all of our families. However, most of our students are in multiple classes and require time to change costumes. We took all scheduling, costume changes, and length of performances into consideration when arranging the recitals. Q. How long are the performances? A. Each recital will run close to an 1.5 hours with a 15 minute intermission. Q. When does my dancer have to be there? A. Please refer to the 2018 Recital Packet. We have assigned specific times throughout the entire week for each class to rehearse. On dress rehearsal days please arrive 15 minutes prior to your call time. After your dancer has finished on stage and has checked out they are free to leave. Dress rehearsal is MANDATORY. For safety reasons we can not allow students that miss their dress rehearsal to perform. On performance days dancers are required to be at the theater no later than 45 minutes before show time. You will check your dancer in at the Washington Street entrance. After your dancer has performed they can be picked up and checked out at intermission or the after finale. If you choose to bring your dancer back to the audience, please make sure they have changed into street clothes. Costumes are prohibited in the audience. Q. What is a "Call Time"for dress rehearsal? A. The specified "Call Time" listed in the 2018 Recital Packet for each class is time when your dancer's class will be on stage rehearsing. Please arrive 15 minutes prior to the appointed time dressed in full costume, tights/socks, and shoes. Q. What does my dancer wear? A. Costumes must be worn for DRESS REHEARSAL and RECITALS. Please dress your dancer in typical class attire for combined classes and finale rehearsals. Q. Can I take photos or video of my child? A. No and Yes - ﻿Flash photography or videotaping (including phones, ipads, etc.) will not be allowed during the performance. This will insure each seat purchased can fully enjoy the performance and our dancers aren't blinded by all the flashes! USBs will be available for purchase. You are welcome to photograph and videotape during the dress rehearsal! Q. Why do I need to buy tickets to see my child perform? A. It would indeed be a wonderful world if we were donated space in (or had our very own) theater to perform in; however, that is not the case, and we must pay to rent the space for our students to have a true performance to finish off their season. This is a performing arts school, and we feel our students are worth it. Tickets are kept at the absolute minimum, ranging from $12-$15. If you are sitting in the audience for any of the shows, you must have a ticket.